Rick Ridgeway is Patagonia’s Vice President of Public Engagement. He represents and promotes the company’s core values with external stakeholders including NGO’s, trade organizations, academics and universities, and government agencies. In this role he is one of Patagonia’s key spokespersons in all its global markets. During his 12-year tenure at the company he has worked with teams to develop and launch environmental and sustainability initiatives within the company, including Freedom to Roam, the Footprint Chronicles, the Responsible Economy Campaign and Worn Wear. He also was founding chairman of the Sustainable Apparel Coalition that today is the largest apparel, footwear and home textile trade organization in the world creating the Higg Index, a suite of standardized tools to measure sustainability and produce industry benchmarks for continual impact reductions. Before joining Patagonia, Rick was owner/president of Adventure Photo & Film, a leading stock photo and film agency. In addition Rick is recognized as one of the world’s foremost mountaineers. With three companions he was the first American to summit K2, considered the hardest of the world’s high-altitude mountain to climb, and he has done other significant climbs and explorations on all continents including the first direct coast-to-coast traverse of Borneo at its widest point and a traverse of the Tibet’s Chang Tang plateau on a route never explored. Rick participated in the first big wall climb in Antarctica, the first American mountaineering expeditions into Bhutan and China. 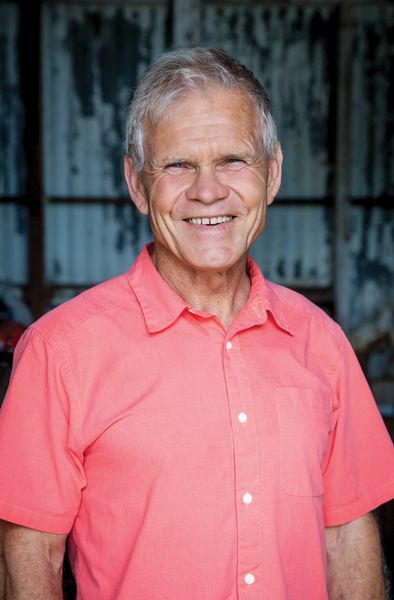 He has produced and directed many adventure shows for television, his magazine articles have appeared in Outside, National Geographic and Harvard Business Review, and he is the author of six books, including Seven Summits, The Shadow of Kilimanjaro and Below Another Sky. National Geographic honored him with its “Lifetime Achievement in Adventure” award. He serves on the boards of Conservacion Patagonica and the Turtle Conservancy, and is on the Advisory Boards of World Wildlife Fund, Unilever USA, and the Leonardo DiCaprio Foundation.